In Virginia, can a plaintiff in a personal injury case recover, if the plaintiff was partially responsible for the accident that caused the plaintiff’s injury? No. Virginia applies the doctrine of contributory negligence, which the Virginia Supreme Court defines as the objective standard of whether a plaintiff failed to act as a reasonable person would have acted for his or her own safety under the circumstances. As the Virginia Supreme Court has explained, in cases where the plaintiff and the defendant were negligent and their negligence proximately contributed to the accident causing the injury, the negligence of the plaintiff and the defendant is not compared. Instead, any negligence on the part of the plaintiff, which was a proximate cause of the accident, will bar the plaintiff from recovering. 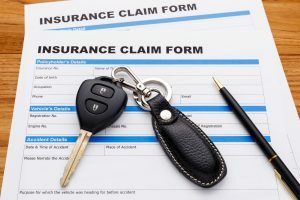 In personal injury cases arising out of car accidents, defendants routinely raise the defense of contributory negligence, which is an absolute bar to recovery for the plaintiff. This means that in personal injury cases arising from car accidents, a jury hearing the evidence must first consider whether the defendant was negligent, and if so, whether the plaintiff was also negligent. Any negligence on the plaintiff’s part, such as speeding, failure to maintain a proper lookout, failure to maintain proper control of his or her vehicle, etc., can form the basis for a jury finding that the plaintiff was contributorily negligent and, therefore, barred from recovery against the defendant, regardless of how severe the plaintiff’s injury may have been and/or how obvious the negligence of the defendant may have been. Questions of contributory negligence are specific to the facts of the individual personal injury case, and one of our personal injury lawyers in Virginia Beach should be consulted regarding same. We can assess whether there is a legitimate basis for the defendant to make a contributory negligence defense, and in cases where a contributory negligence defense may be applicable, our personal injury lawyers can assess whether there are any exceptions to the contributory negligence doctrine that may apply, such as the age of the plaintiff, proximate causation, etc. As in all personal injury cases, an experienced personal injury lawyer can also advise the injured person as to the value of the injury claim, can guide the injured person through the process of making a claim with the applicable insurance company or companies, and can represent the injured person in the litigation of the personal injury claim, if a lawsuit becomes necessary.